Who doesn't love a parade? Exactly the reason why I'm going to be in one! I'll be amongst other accordionists this monday, Victoria Day, marching/parading/floating along with our accordions, spreading the accordion love. The Victoria Accordion Club is taking part in the Victoria Day Parade, and I've graciously been invited to be with all the great folks that belong to the club. 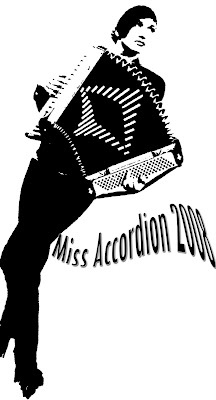 I think its time I was crowned Miss Accordion 2008, hello?